The original (general market) manuscript of Redeeming Love was offered to the editor with whom I had been working for a number of years. She turned it down because it was a recognizable allegory about Jesus. So the manuscript made the rounds and ended up in the hands of a Christian who was an editor with Bantam. 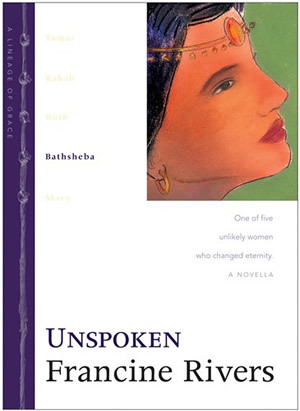 She wanted to bring faith-based stories into women’s fiction. 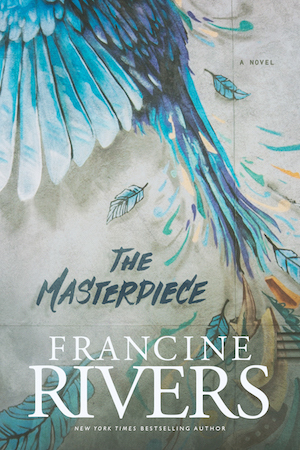 The original edition of Redeeming Love was a paperback, released in 1991; the cover had Easter lilies against a blue background. It sold about 120,000 copies and died a quick death. My agent, Jane Jordan Browne, moved quickly to get the reversion of rights. In the meantime, I felt God leading me toward asking Him questions (for which I had no answers) and using my writing to draw closer to Him. The host of characters in each novel lived out the various answers to the question, with one primary character focused on Him. The Mark of the Lion trilogy had been complete by the time my (Christian) editor broached the subject of reprinting Redeeming Love for the CBA market. I thought it a wonderful idea, but also knew the book had a much harder edge than anything currently being published. I did not want to “soften” the story, but knew I would need to remove minor details that could prevent readers from seeing the fuller picture of Angel and Michael’s relationship. The book was offered first to Tyndale , but it was too edgy for their list of the time. Doctor Taylor prayed with me in his office and offered his full blessing. He knew that I’d be working with my long-time editor and close friend, Karen Ball, who had recently moved to another publishing house (Multnomah). Karen and I went to work on the original edition. I was able to feather out anything overtly explicit (not a lot) or offensive (a few words) and add the conversion scene I wanted. Redeeming Love still stands as my statement of faith, and both versions show how God works on us when we surrender to Him. In my opinion, the “redeemed” version of Redeeming Love tells more of the story than the original.